Sydney may boast a sparkling harbour and Bondi Beach, but Australia's biggest city is set to be eclipsed in population terms by its southern rival Melbourne, according to a study published Tuesday. The report by economic forecaster BIS Shrapnel says a lack of affordable housing in Sydney would see the city's annual population rise miss the state government's projection of 1.1 percent growth for 2015 to 2020. "Melbourne, with its long-term population growth of 1.3 percent a year, will displace Sydney as Australia's largest city in 2037," said Aaron Gadiel, head of the property development group Urban Taskforce, which published the research. 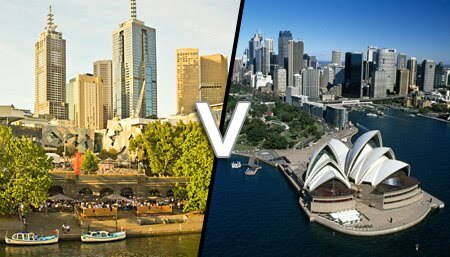 The report found that in 2001, Sydney was home to 660,000 more residents than Melbourne but this had slipped to a difference of 500,000 by mid-2009. 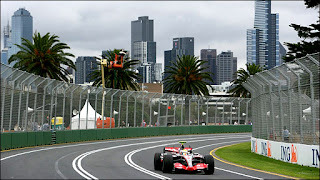 "The gap between Sydney and Melbourne is already closing rapidly -- Sydney's lead has been reduced by 20 percent over the space of just eight years," Gadiel said. "Over the past decade, Melbourne has proved far more capable of accommodating extra people than Sydney." The cities are already by far the most populated parts of the country, with some 4.4 million people living in Sydney and 3.9 million in Melbourne. The third most populated city is Brisbane with just 1.9 million people. Gadiel said that before Sydney property prices skyrocketed in the late 1990s and early 2000s, its state, New South Wales, had maintained a steady 42 percent share of Australia's total immigration. But he said this figure was now falling as house prices continue to soar and insufficient new housing stock becomes available -- with about 30 percent of foreign migrants settling in the harbour city. He said without an adequate housing supply, New South Wales would be unable to support the economic growth needed for an increasing population. "What drives our economy is the activities of people. Housing people is at the fulcrum of it all," Gadiel told ABC Radio. " Not only does housing provide jobs itself, it also gives us the opportunity to house and attract people to our economy who can make a difference." New South Wales state Premier Kristina Keneally brushed off the report. "Sydney is Australia's only global city and there is no credible evidence to demonstrate that is going to change," she said. Does this mean that buying a property in Melbourne now will attract higher appreciation over 20 years as compared to buying a property in Sydney? Possibly, but due research should be done before committing to any property anywhere. Again, just my 2 cents worth. Thanks.. I will check it out.